The short answer is “yes.” Sacred service-learning is an educational strategy that is intended to wed academic study to field work, to translate theory into practice, to choreograph a dance that in the words of Franz Rosenzweig should take place between Torah and life. The beit midrash (house of study) and the seminary are institutions dedicated to sacred study, a prerequisite for serving in positions of rabbinic leadership. But they are no longer sufficient on their own to create Jewish leadership for the 21st century, not for the dynamic and fluid Jewish community system in North America and beyond. Sacred service-learning is an attempt to broaden the horizons of emerging religious leaders, who increasingly will not fill existing jobs, but rather co-create them. It is already the case that Jewish community leaders are serving in roles that they did not envisage when they thought they finished their education. We are in a period of re-creation, yet another first century of a millennium that is witness to social, cultural and religious revolution. Rather than risk becoming anachronistic, it is time to change the methods and the goals of raising religious leaders. Sacred service-learning is a means of helping to reinvent the rabbinate. 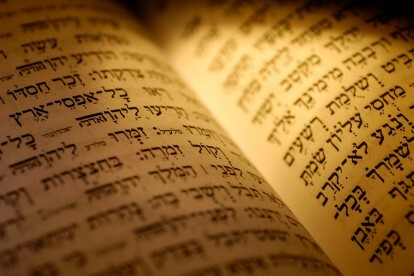 The faculty of a seminary cannot on its own develop rabbis for the 21st century. We need help. We need the collaborative partners who interact with Jews outside of synagogues because they constitute a vital dimension of the Jewish past, present and future. The Jewish community has always been larger than the synagogue community, a fact we ignore at our own peril. Sacred service-learning represents an existential orientation to religious leadership. It requires cultivating anavah, humility as a middah, an ethical virtue that is helpful in reminding a Jewish leader to be holy and not holier-than-thou. By interacting with multiple types of community leaders and the people they serve, rabbinical students not only learn about agency policies, board politics, friend-raising and fundraising, they also, perhaps most importantly, learn about themselves. Rabbi Jan Katzew, Ph.D. is the director of The Jewish Foundation of Cincinnati Fellows Program, an advanced sacred service-learning curriculum hosted at Hebrew Union College-Jewish Institute of Religion’s Cincinnati campus of which this journal is a product. Read one Fellow’s reflection on humility and sacred service-learning here.